Affectionately known as the “Real Funky Divas” with 20 million albums sold, multiple Grammy nominations, American Music Awards and Soul Train awards…celebrated as the ultimate girl group of the 90’s, who have sustained their evolving look and sound! Formed in Oakland, California, En Vogue has produced top 10 hits such as “Hold On”, “My Lovin’ (You’re Never Gonna Get It)”, “Giving Him Something He Can Feel” and “Free Your Mind”. Currently consisting of Cindy Herron-Braggs, Terry Ellis and Rhona Bennett, the group’s accolades include more than 20 million records sold worldwide. The group has won seven MTV Video Music Awards, three Soul Train Awards, two American Music Awards, and received seven Grammy nominations. 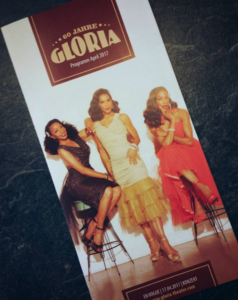 Today, En Vogue is redefining the idea of beauty, music and style with original members Cindy Herron-Braggs, Terry Ellis and long-standing member Rhona Bennett.